Vibrant Performance Oil Restrictor Fitting Kits allow you to effectively limit oil flow to your turbo, minimizing the potential for damaging the oil seals in your turbo. 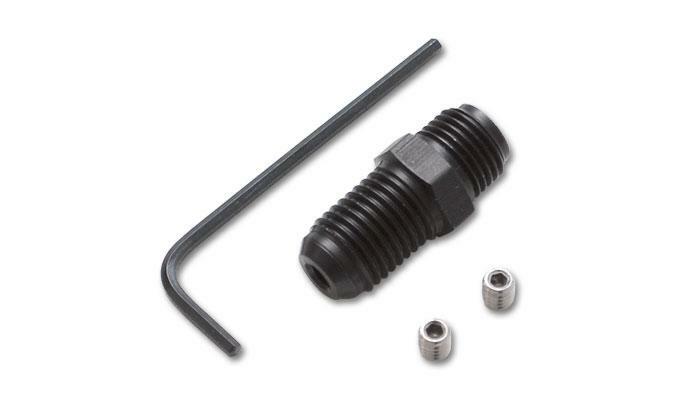 Our unique Restrictor Fittings come with 2 threaded brass jets of differing sizes to allow you to customize oil flow control. An allen key and Loctite are also included.